This 3D Owl Mold has great detail and the massive eyes are show stoppers. Wonderful as a centerpiece. 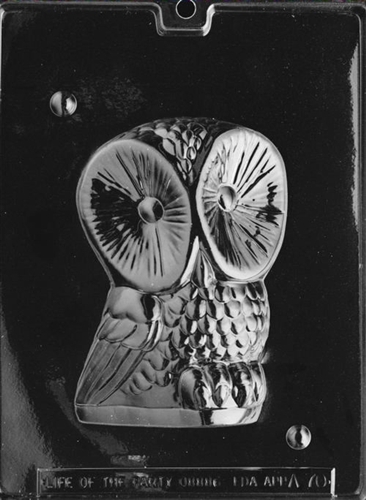 This piece requires the back portion, LPA070B, to complete 3D owl. Get one and see who loves it the most. Each piece is 4-1/8" x 6-1/8"